US President Donald Trump, has recognized Jerusalem as the capital of Israel and thereby shift the US Embassy there from Tel Aviv. This action goes against the United Nations’ and the international community’s stand that East Jerusalem is an occupied territory by Israel since 1967. An independent Palestinian State with East Jerusalem as its capital is the internationally accepted position. The United States has taken the formal step of legalizing the illegal occupation of Palestine territories by Israel. No other country in the world has given recognition to Jerusalem as Israel’s capital. The United States is also responsible for scuttling any possible peace negotiations between the Israel and Palestine. This decision by Donald Trump will trigger further tensions and conflicts in the region with global ramifications. Unlike the worldwide opposition to this move, official spokesman of the Ministry of External Affairs, Government of India , has scrupulously refused to criticize the US decision. This shows the extent of servility of the Modi regime to the United States. The Modi government should come out strongly disapproving of the US action, as it goes against India’s longstanding commitment to the Palestinian cause. History repeats itself, perhaps as a tragedy for Chandrababu Naidu who is in New Delhi marketing his version of the Andhra story. Two decades ago Naidu's presence in New Delhi was a national political event as he was the cynosure of national.. The impeachment motion moved by opposition parties is an inevitable attempt to resolve the serious issues raised by four senior most judges. 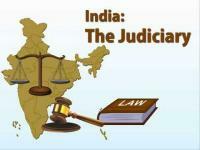 The Constitution allows for such a parliamentary scrutiny when things in judiciary go wrong. The.. Yet another political party descended on the Telangana political horizon with Prof. Kodandaram transforming the Telangana Joint Action Committee (TJAC) into Telangana Jana Samithi (TJS). 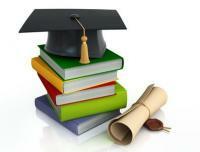 But, challenges galore for the professor turned.. STARTING with the Channel 4 exposé of Cambridge Analytica, and now the NaMo app that sends data to Clevertap.com, we are beginning to realise the impact of big data on elections. If we combine this with fake news – the recent MIT report that..
NT Rama Rao biopic traverses tricky terrain: Will appeasing too many political stakeholders spoil the plot? 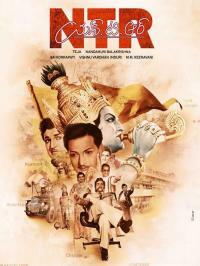 In the news for its launch, is the biopic on late actor-politician NT Rama Rao (popularly known as NTR). The biopic is being directed by filmmaker Teja, and stars NTR's son Nandamuri Balakrishna — who is also an MLA for the Telugu Desam Party.. 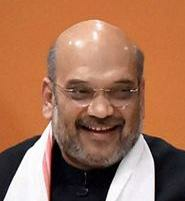 The nation is concerned with the latest developments arising from the letter written by the Senior most Judge of the Supreme Court and Second ranking Judge of the Supreme Court's Collegium about interference of the Government in the Judicial..
As the Karnataka poll battle turns into Narendra Modi-Siddaramaiah personality clash, BJP suffers from a deficit which Congress had in Gujarat. Unlike in other states where BJP relies on the Modi cult, the saffron party plans to win the..
YSR Congress announced that its MPs would resign on the last day of parliament session if the no-confidence motion is not taken up and special status is thus denied again. 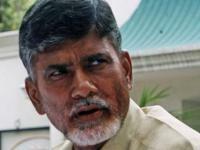 The party is exerting pressure on TDP to also seek the resignation of..
Close on the heels of TMC chief and the West Bengal chief minister Mamata Banerjee holding hectic parleys with various Opposition parties, now it is the turn of another regional stalwart, TDP supremo and Andhra Pradesh chief Minister N..
As feared by many, the bifurcation of Andhra Pradesh has significantly reduced the political clout of Telugu people, giving way to TMC. The opponents of bifurcation of the state have primarily voiced such concerns during the debate over..
Mamata Banerjee's new-found interest in Rama Navami celebrations, and Congress president's unending visits to temples indicate opposition’s desperation to take on Narendra Modi in 2019 by countering BJP's politics of Hindutva, with either.. The allocation for a Centre-sponsored tribal welfare scheme launched in 2014 has come down to a mere Rs 1 crore ($154,000) in 2016-17 from Rs 200 crore in 2015-16 and Rs 100 crore in 2014-15, according to an RTI reply that also indicates that.. 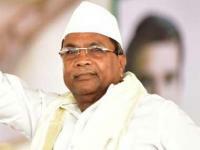 The Congress poked fun at Amit Shah saying it agreed with his description of Karnataka's Yeddyurappa government as "number one" in corruption in a gleeful reference to a gaffe made by the BJP president when he sought to mention Siddaramaiah but.. 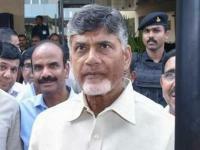 The TDP’s action of walking out of the NDA in Andhra Pradesh has now led to tremors in neighbouring Telangana. 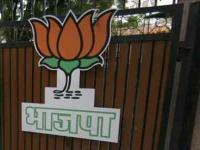 The BJP in Telangana has parted ways with the TDP long back. 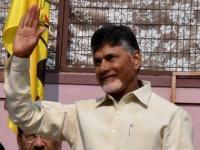 After leaving the NDA, the TDP has now become the most sought-after.. 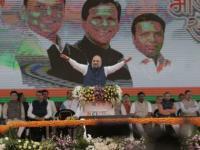 The BJP hopes to repeat its Tripura win in Andhra Pradesh Assembly elections. The party is likely to appoint Ram Madhav, the architect of BJP's success in the North East, as party in-charge for the state. This gives credence to BJP's ambitious..
BJP president Amit Shah's letter to Andhra Pradesh chief minister N Chandrababu Naidu is filled with rhetoric and doesn't answer key questions such as why the special status for the state has been denied and how far the special package has..